The metrics calculations are based on nearly 3.7 billion views. The stats are collected from 2700+ media servers (Nimble Streamer and Wowza). 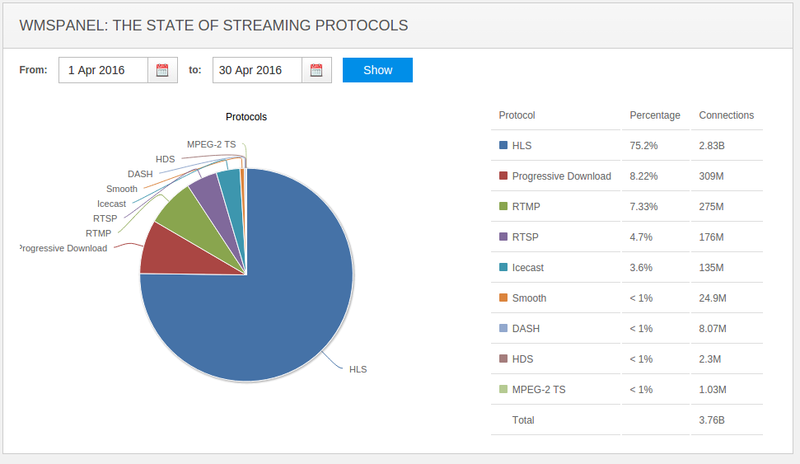 A big surprise was the raise of progressive download - one of our customers is a provider of MP3 podcasts that are currently supported only by PD. Hopefully MPEG-DASH players will be able to handle MP3 audio so that share will shift to DASH.